Capital Mulch Company strives to provide customers in the greater Raleigh and Wake Forest areas with the best landscape products available at the lowest possible prices. Whether it's mulch, stone, sand, soil, or compost - from purchase to delivery, we are dedicated to providing you with outstanding customer service. Capital Mulch Company is proudly owned by Raleigh local, Rich Trahin. 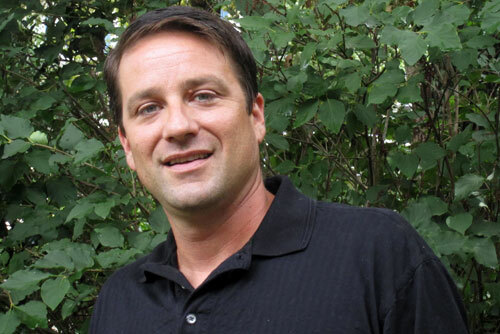 Rich has a passion for helping people and business design, install, and improve their gardens and exterior landscapes. Capital Mulch Company began supplying and delivering quality landscape products and materials to the Triangle area in March 2008. Our experience and expertise on a variety of outdoor projects and designs can help you accomplish your goal to beautify the landscape of your home or business. Capital Mulch Company promises to provide every customer with quality landscaping products at a reasonable price. We back our products and services with outstanding customer service and support. If you have an upcoming residential or commercial landscape project in the greater Raleigh or Wake Forest area, please consider our company. We would be happy to help meet all your landscape material needs. Delivered on time as agreed, good quality mulch. He dumped in a cramped driveway and left no damage - at all! Would definitely use again! Great mulch and great service - Rich does a wonderful job!